Design Your Own with EWD. Our custom capabilities allow you create the best design for your opening, with design options such as performance glass, hardware and factory finishing the possible combinations are endless. Our solid wood systems are designed by you and engineered by us to perform in your opening. Personalize your Door with EWD. 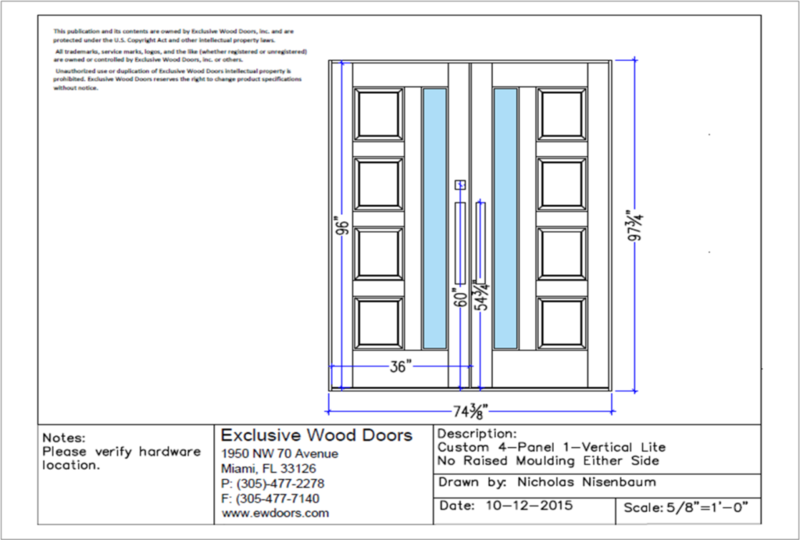 Before the wood takes shape, we begin the production process by providing a shop drawing to identify dimensions and ensure that each door is architecturally correct. Regardless of the intricacy of each piece, all doors and components can be customized unique to a specific design.